By now, you’ve seen or heard about the dramatic finale of last night’s Academy Awards, namely that La La Land was initially announced as the winner for Best Picture, but a few moments later, it was announced that there had been a mistake and that Moonlight had actually won. One could invent all kinds of conspiracy theories, ask so many questions, and discuss this moment ad nauseum for the next twenty years. Some folks will gleefully engage in all three preoccupations. Because I'm stuck in the 90s musically, I'm usually late to most listening parties. So by the time I've heard a song and become obsessed with it, most people have moved on to something else. Such is the case with "Mercy" from Brave New World, the 2015 debut project from Bethel Music's Amanda Cook. (And see, I was going to call it an "album," but I'm trying not to date myself more than absolutely necessary.) Like most music that is new to me, I heard it one Sunday morning courtesy of our amazing worship team. At the time, I was captivated by the mood of the melody, the poignant emotions conveyed by both the vocalists and the musicians. The Kindle version of my debut novel, ANOTHER 4.0, is available for immediate purchase at Amazon.com. This day has been a looooooooong time comin'...cue The Winans...and I'm so excited to finally share this book with you. The print version is coming in a few weeks, but for now, head on over to Amazon and snag your Kindle copy today! Daria Nelson’s life seems perfect. She’s the apple of her father’s eye, the love of Maurice’s life, and a straight-A sophomore at Howard University. Daria is angry with her father...because her father is angry with her. After four years, Adrian Nelson still doesn’t like Maurice, which makes no sense to his daughter. Maurice is the handsome owner of a successful West Philly barbershop and the kind of guy any girl would be lucky to have. So what’s not to like? Well, no, Maurice hasn’t exactly supported Daria’s decision to matriculate some 150 miles away. He expected her to attend the University of Pennsylvania like she promised and hasn’t quite forgiven the drastic change in venue. But Daria understands his frustration because college hasn’t been everything she expected either. Though confident in her choice of English as a major, she feels constant pressure to decide who she wants to be when she grows up...and maintain the level of excellence expected of a student at the premiere HBCU in the world to boot. And with all these issues jockeying for her attention, all Daria wants is peace and another 4.0. Denise is not naïve—at least, not as much as yesterday. A born-and-raised Philly girl, she uses her English degree to bemoan text-speak and champion the Oxford Comma. Denise never met a stiletto she didn’t like but will switch to sneakers to chase her children or harass her hubby for hugs. The faith-filled characters in her modern stories are real, and they’re spectacular. 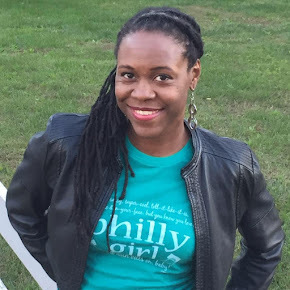 Her work appears in the anthologies "Color Him Father" (Kinship Press) and "The Motherhood Diaries 2" (Brown Girls Publishing). 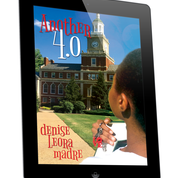 "Another 4.0" is her debut novel, a veritable tribute to her beloved Howard University. I'm continuing the celebration of my forthcoming debut novel, ANOTHER 4.0, with a full summary and excerpt. Daria is angry with her father...because her father is angry with her. Apparently Adrian Nelson still doesn’t like Maurice after all this time, an attitude which makes no sense to his daughter. Maurice is the handsome owner of a successful West Philly barbershop and the kind of guy any girl would be lucky to have. So what’s not to like? Well, no, Maurice hasn’t exactly supported Daria’s decision to matriculate some 150 miles away. He expected her stay local and attend the University of Pennsylvania like she promised and hasn’t quite forgiven the drastic change in venue. But Daria understands his frustration because college hasn’t been everything she expected either. Though confident in her choice of English as a major, she has no idea what she wants to do with her life and feels constant pressure to figure it out. Best friends Bernie and Cherrie sympathize with her struggles, but even they don’t fully understand some of Daria’s decisions. To say nothing of the internal pressure Daria feels to maintain the excellence expected of a student at the premiere HBCU in the world. Today is the best Tuesday EVER. I am indescribably excited to finally announce that my debut novel, ANOTHER 4.0, will be released this fall! Lives Matter!” we scream until hoarse. Notching another one on their broken blue belts. School has been out for about a week, and I am exhausted! I miss my children like crazy when they go off to school, but when they’re home all day and looking at me as if I were the Activities Director of their personal cruise line, I start counting the days until September. And apologizing to every teacher-friend I have. In all seriousness, the time together has been great. 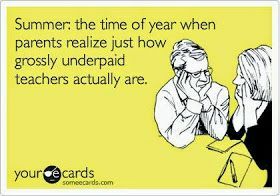 And because they attend a six-week Extended School Year program each summer, I have to make the most of the next few weeks.